I love the container these come in because they make it easy to keep them from getting crap on it when on the go. 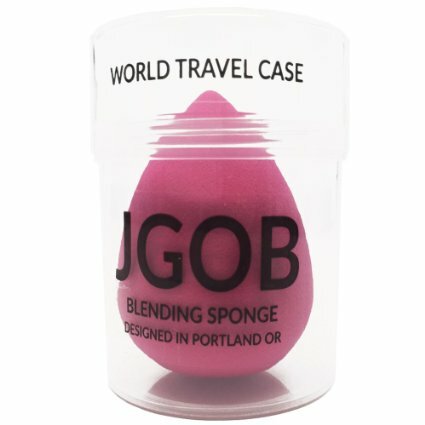 I always hated how my makeup sponges seemed to pick up all the junk that was in my makeup bag. This allows me to just toss it into my bag and run out the door. It doubles in size and applies foundation amazingly. I love to use the point for those little places around my nose that are way too small. When I am done using it I clean it with dawn dish soap to remove all the makeup, squeeze as much water out that I can, and then leave it out to dry. I love all of my JGOB sponges.